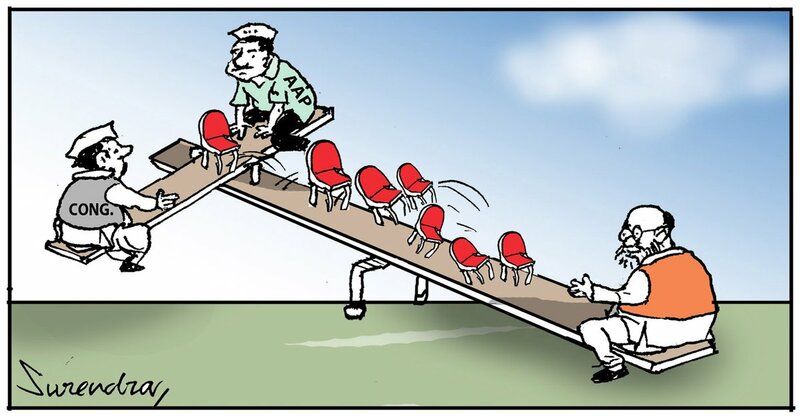 Surendra shows six of Delhi’s seven Lok Sabha seats sliding towards BJP president Amit Shah on a see-saw, while the Congress and AAP continue their own smaller see-saw tussle over one seat. The reference is to the alliance-that-wasn’t between AAP and Congress, which is likely to benefit the BJP come election time. 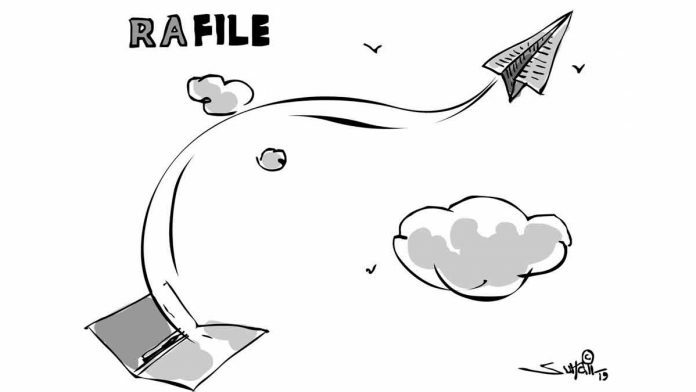 Suhail Naqshbandi takes a potshot at the Narendra Modi government’s claims that documents related to the Rafale fighter jet deal had been stolen. 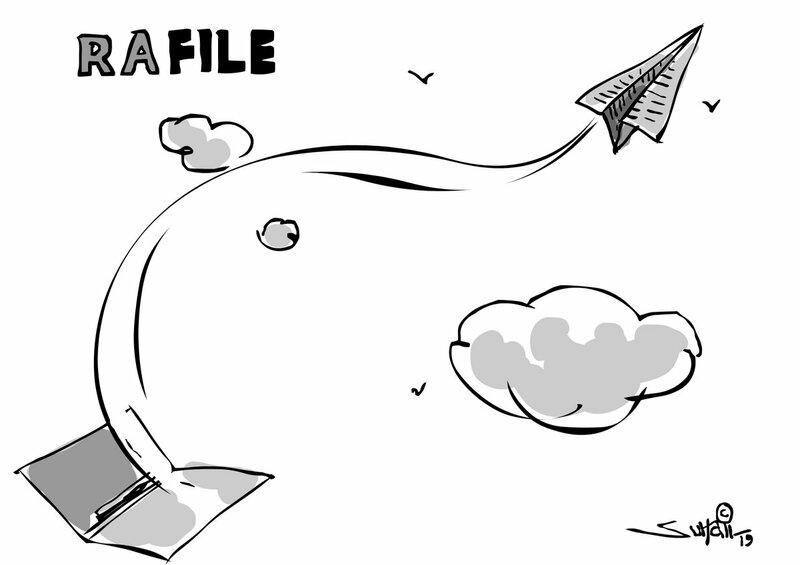 He suggests the documents in the files turned into paper plans and flew off. 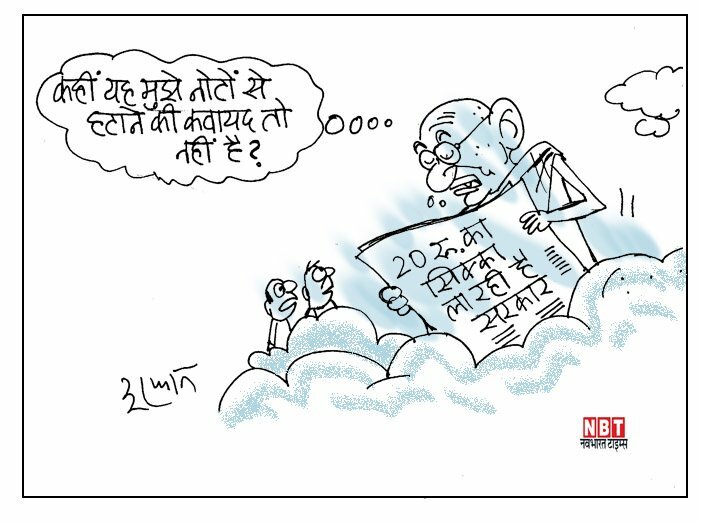 Irfan depicts Mahatma Gandhi feeling threatened that he will disappear from India’s currency notes, after the Modi government announced it would be minting a Rs 20 coin for the first time ever. Alok mocks the incident in Uttar Pradesh Wednesday when a BJP MP, Sharad Tripathi, beat up BJP MLA Rakesh Baghel with his shoe, after an argument over laying a foundation stone. 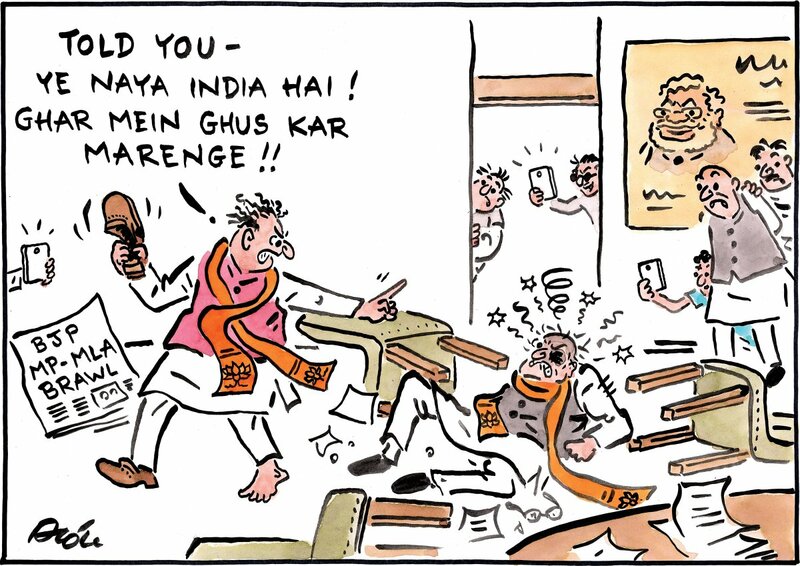 It refers to some BJP leaders’ statements after the Balakot air strikes in Pakistan, when they said that ‘new India’ will enter your home and hit you. 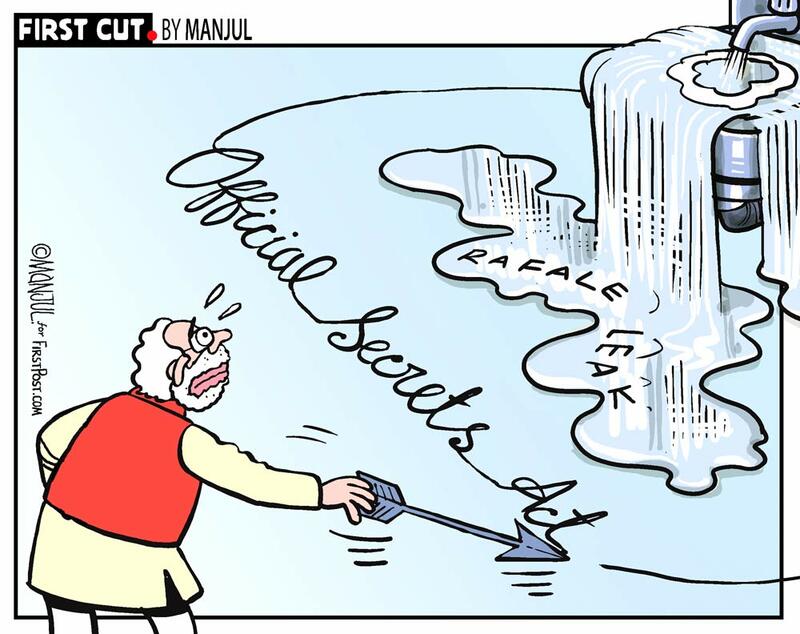 Manjul depicts Prime Minister Narendra Modi using the Official Secrets Act to magically restrict Rafale-related leaks. The Supreme Court had said Wednesday that the government couldn’t hide behind the British-era act, after the Attorney General had invoked it during a hearing. 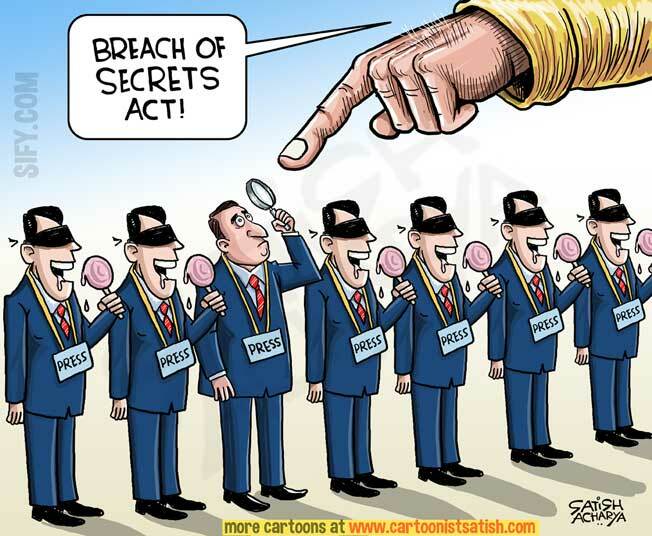 Satish Acharya accuses the Indian media of blindly lapping up the government’s handouts, and the government of invoking the Official Secrets Act when one mediaperson stops to question. 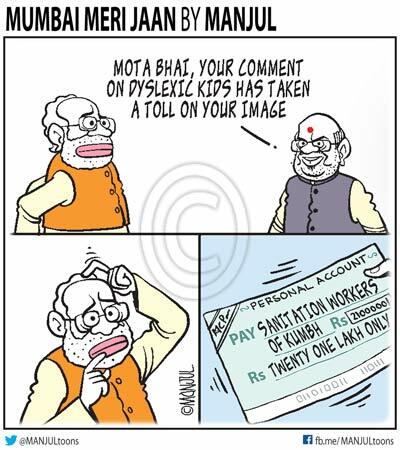 After it was reported that PM Modi had donated Rs 21 lakh from his personal savings to the sanitation workers who helped organise the Kumbh Mela in Prayagraj, Manjul seems to suggest this was done to improve his image, which took a hit due to his comment on dyslexia.